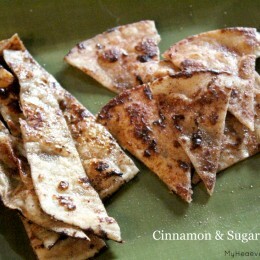 Cinnamon sugar tortillas are the perfect crunchy snack! Warm, crispy fried tortillas with a sweet dusting of cinnamon sugar. You guys if you are needing something a bit sweet and warm this is the snack recipe you need! These Cinnamon Sugar Tortillas don’t photograph, well, but, I’ll work on it and update with a better picture that will want you to eat your screen. My girls love those Cinnamon Twists that are at Taco Bell. While I *try* not to frequent that establishment, I will swing in for these a few times a year. Because the girls do love them so much I came up with my own version when they were asking for them, repeatedly. There are times that I make do with what I have on hand for cravings like Cinnamon Twists from Taco Bell. I’m a people pleaser, that’s what I do. So to please my girls I became creative in the kitchen and this was the end result! So while you are waiting for me to grab a much better image of these cinnamon sugar tortillas, considering making your own. They’re great for a quick midnight snack, something sweet to get you through the rest of the day, or an easy dessert to surprise your dinner guests with. Cinnamon sugar tortillas are a simple dessert you can throw together in under a minute. Yes, you can make these in under a minute. Here’s what you’ll to make them. 1. Heat a large skillet to medium-low. 2. In a small bowl mix together the sugar and cinnamon, mix. 3. On one side of the tortilla brush with the melted butter and sprinkle with sugar mixture. 4. Place the buttery side down in skillet and heat for about 30 seconds. 5. While the bottom side is browning, brush top side with butter and sprinkle with sugar mixture. 6. Flip the tortilla over and cook the other side for another 30 seconds, until golden brown. 7. Repeat process for your second tortilla. Serve alongside a scoop of vanilla ice cream topped with Homemade Hershey Syrup or fresh cool whip for a Heavenly dessert! 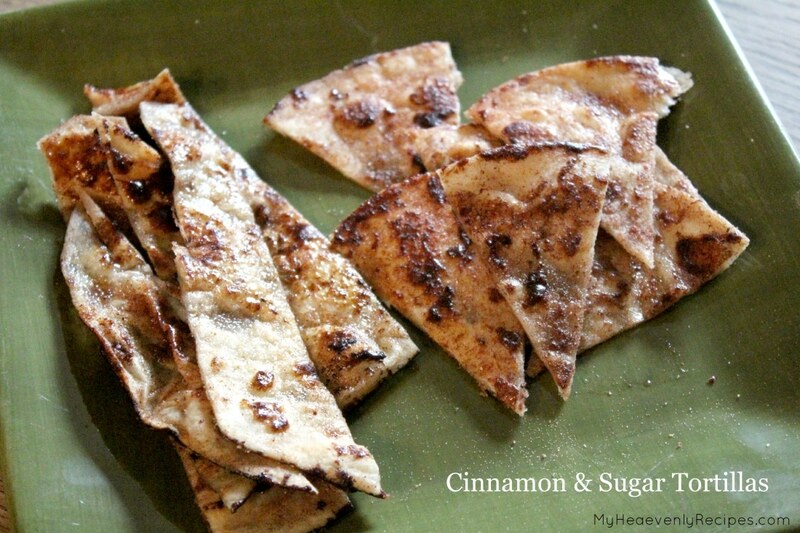 Cinnamon sugar tortillas are the perfect crunchy snack! Warm, crispy fried tortillas with a sweet dusting of cinnamon sugar. Heat a large skillet to medium low. In a small bowl mix together the sugar and cinnamon, mix. On one side of the tortilla brush with the melted butter and sprinkle with sugar mixture. Place the buttery side down in skillet and heat for about 30 seconds. While the bottom side is browning, brush top side with butter and sprinkle with sugar mixture. Flip the tortilla over and cook the other side for another 30 seconds, until golden brown. Repeat process for your second tortilla.